These models are contributed by Dmitry Zaitsev. We list models without going thru them in too much detail, so listing does not imply that we endorse them or any papers listed, only that we provide them as inspiration. 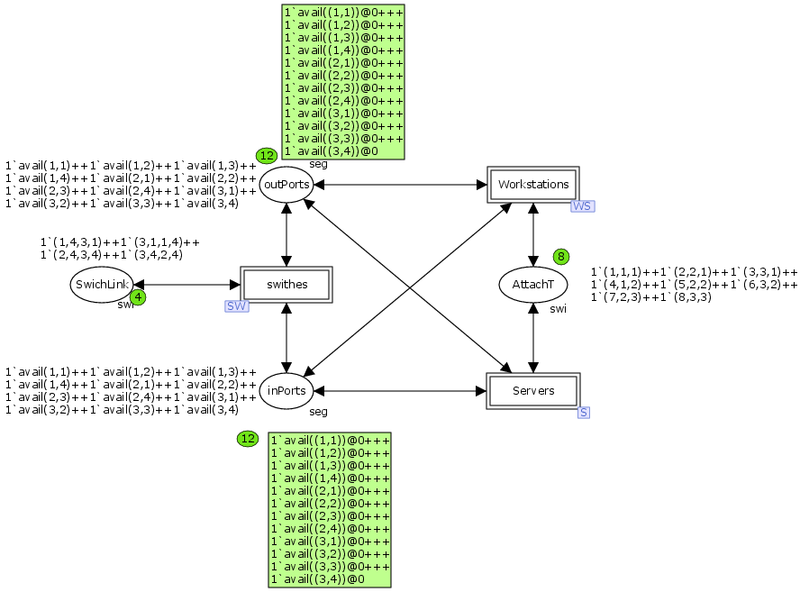 Parametric model has constant structure for any given switched Ethernet network. It contains one copy of each component: switch, workstation, server. A given topology is put as the marking of dedicated places as well as the characteristics of hardware and software. Special tag is added to each token which reflects the location of the token within Ethernet network. Zaitsev D.A., Shmeleva T.R. 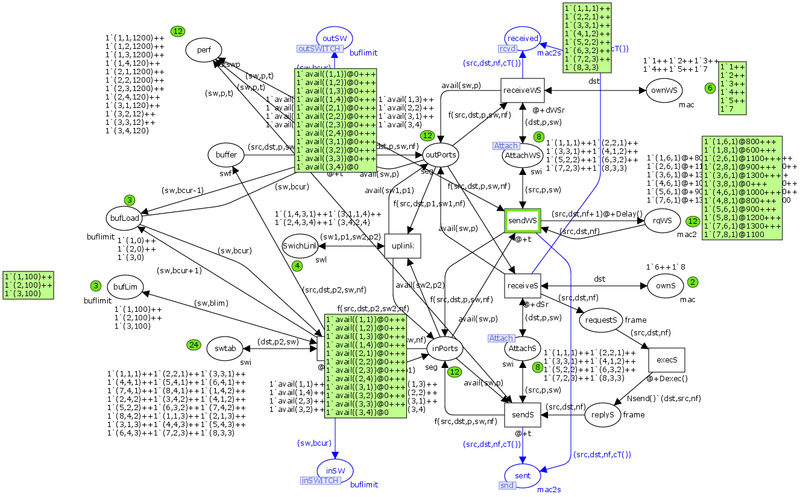 : “A Parametric Colored Petri Net Model of a Switched Network” Int. J. Communications, Network and System Sciences, page 65-76, 2011. The model is used for the evaluating the performance and quality of service (QoS) via special measuring fragments attached to the models of hardware and software. They provide the estimating such characteristics as the frame delivery time, the network response time, the average size of the switch internal buffer etc directly during the process of simulation. It is devised for CAD of real-time systems and was applied at railway dispatcher center.